Look To The Stars’ UK Correspondent Richard Barker was lucky enough to attend the Variety Club’s 57th Annual Showbiz Awards and filed this exclusive report and photos. I was delighted to spend some time with A-list celebrities from music, film, theatre and television on the Red Carpet. The event was in aid of one of UK’s longest running children’s charities, The Variety Club, as it celebrated its Diamond Jubilee. London saw some of the brightest stars from the showbiz world light up London’s West End as they congregated on the Red Carpet at the Grosvenor House Hotel, Park Lane, London W1 to show their support for one of UK’s longest running charities dedicated to sick, disabled and disadvantaged children and young people – The Variety Club – and to honour the most talented individuals from the world of entertainment at The Variety Club’s 57th Annual Showbiz Awards 2009. Don’t worry readers if you are based in England but weren’t there on the night – you’ll get a chance to watch the glitz, the glamour and hear the gossip on FIVE on Sunday 22nd November 2009 at 3.35pm. The evening’s star-studded event commenced with an array of international A-list celebrities, industry stalwarts and leading luminaries from the worlds of film, television, comedy, theatre, popular music and classical music gracing the Red Carpet. The guest list welcomed names such as Kevin Spacey, Ben Kingsley, Patrick Stewart, Kelly Brook, Alesha Dixon, Dame Kelly Holmes (Ambassador for The Variety Club), David Suchet, Jon Culshaw, Alan Carr, Justin Lee Collins, Pixie Lott, Spandau Ballet, The Saturdays, Daniela Lavender, Faryl Smith and Joe Calzaghe. The stars shined for cameras as they made their way to an exclusive reception where champagne flutes were overflowing, as a prelude to a gourmet banquet and the coveted awards ceremony, which took place against a theatrical backdrop of exclusive world-class entertainment, including dazzling performances by Spandau Ballet, Pixie Lott and Faryl Smith. The only event of its kind to honour the entire showbiz industry, this year’s winners included: Kevin Spacey, who was presented with the award for Outstanding Contribution to British Theatre by fellow actor David Suchet; Justin Lee Collins, who was presented with the Television Presenter of the Year Award by Alan Carr; and Spandau Ballet, who were presented with the award for Outstanding Contribution to Popular Music by The Saturdays. 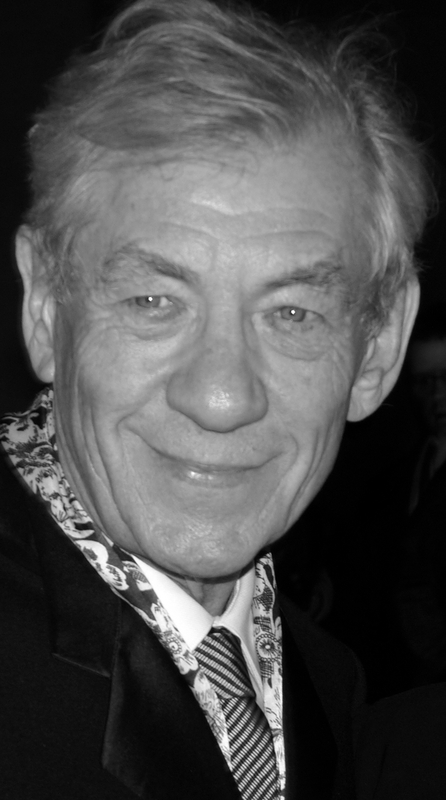 On receiving his award, Sir Ian McKellen said, "This is an over-generous recognition of a career which, in truth, has been its own reward. Acting is working with friends and entertaining people and that’s quite enough for me. The Variety Club is having its 60th birthday, which means I was ten years old at the time in 1949, living in the north of England in Wigan, Lancashire. I was, without knowing it, preparing for a life in show business. The Variety Club is the essence of life for kids who desperately need the help to get healthy. I am full of admiration for the work you have done for the past 60 years and hope you carry on with the work you do. 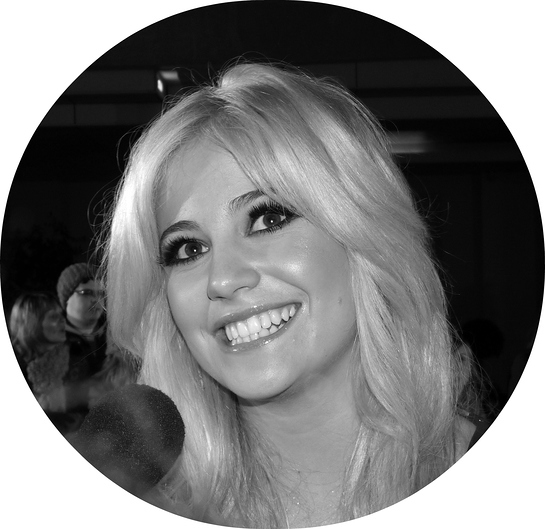 I am extremely honoured to be associated with this charity and this award." The Variety Club Showbiz Awards is one of the most eagerly anticipated entries on the British entertainment calendar and has become an international celebrity institution in itself. Nearly every showbiz personality of note from the past 60 years has been honoured by The Variety Club, renowned for its strong links with the showbiz world, including Tommy Trinder, Dame Vera Lynn, Lord Laurence Olivier, Andrew Lloyd-Webber, Sir Alec Guiness, Sir Michael Caine, Dame Helen Mirren, Dame Judy Dench, Ben Kingsley, Diana Dors, Daniel Craig, Keira Knightley, Jude Law, James McAvoy, Al Pacino, Peter Sellers, Tommy Cooper, Ricky Gervais, Alan Carr, The Beatles, Eric Clapton, Katherine Jenkins and Hayley Westenra. The Variety Club Showbiz Awards raises significant funds for and awareness of the work The Variety Club undertakes to help sick, disabled and disadvantaged children and young people. Celebrating its Diamond Jubilee this year, the charity has raised over £200 million and improved the lives of more than a million children and young people since its inception. Among its tireless work, the charity provides Sunshine Coaches, Easy Riders electric wheelchairs, exciting and educational trips, equipment for children’s hospitals and life enhancing equipment. Also at this year’s Showbiz Awards, The Variety Club, in partnership with The Co-operative, revealed the face of its 2010 Gold Heart campaign – Alesha Dixon. The Gold Heart badges will be sold in Co-operative food, bank, travel and pharmacy stores from 28th January 2010. Owned by its members, The Co-operative has a long and proud history of supporting charities, community groups and other good causes. Every £1 donated in-store to the fund will help The Variety Club to provide vital, life-changing equipment to those children that need it most. John Sachs, Chairman, The Variety Club Showbiz Awards comments, "Once again, the Showbiz Awards has honoured the UK’s top entertainment personalities embracing television, film, comedy, theatre, classical and popular music. As The Variety Club also celebrates its Diamond Jubilee this year, there was even more glamour, showbiz magic and star appeal than ever before. The prestigious event also helped raise awareness and funds for The Variety Club’s praiseworthy work and as one of the UK’s longest serving charities dedicated to helping sick, disabled and disadvantaged children and young people, our sole and primary focus is to make sure every child and young person is given the chance to reach their fullest potential." The Variety Club provides practical solutions to allow sick, disabled and disadvantaged children and young people across the UK to reach their full potential. This year sees The Variety Club celebrate its 60th year of bringing hope, independence and freedom to children and young people. In the past 60 years The Variety Club has raised over £200 million and helped more than a million children and young people. The Variety Club has donated more than 3,300 Easy Riders electric wheelchairs and mobility aids since 1981, put 4,890 Sunshine Coaches on the road and given around £20 million to children’s hospitals. To find out more information or donate go to www.varietyclub.org.uk. Follow the Variety Club on twitter here.